In this guide you will get a brief introduction to how you accept payments in your One.com Online Shop by connecting your Website Builder website to a Stripe account. Need more answers? Check out frequently asked questions about Stripe. 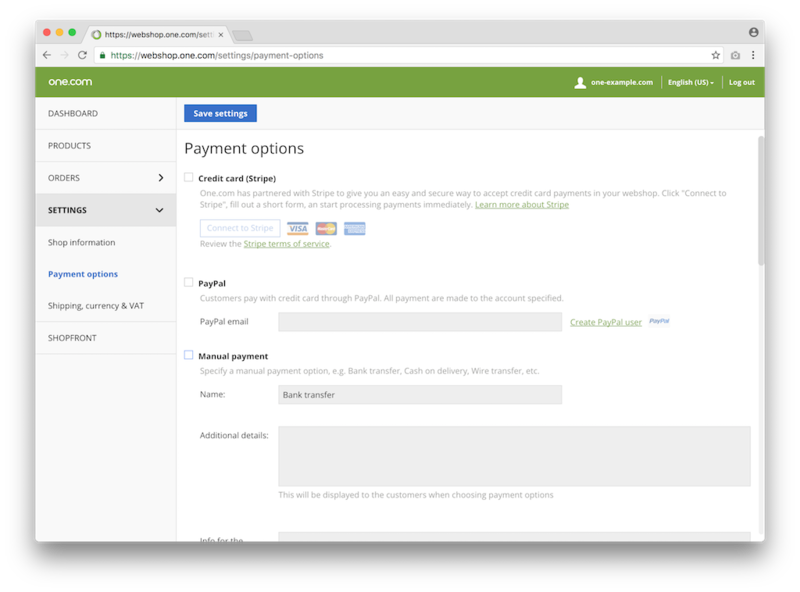 First you need to access the settings for payments in your online shop. 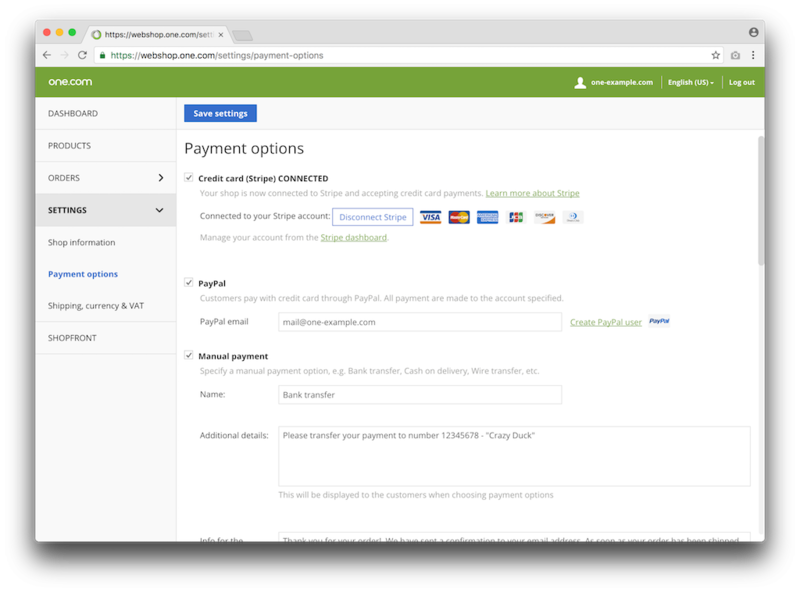 Select Stripe as payment options and save your settings. 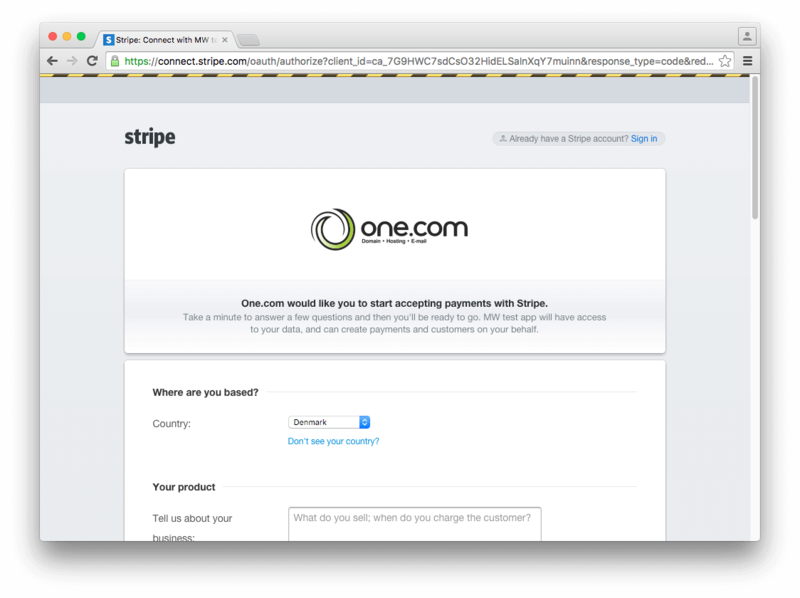 You will be redirected to Stripe where you can log on your existing Stripe account or create a new one. 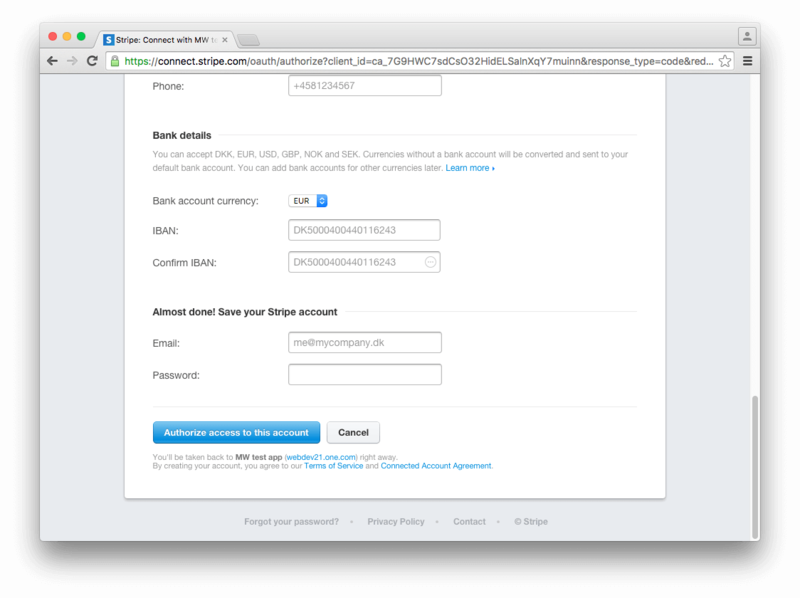 If you already have a Stripe account, click Sign in at the top of the page instead of creating a new account. Log in using your Stripe username and password. If you're creating a new Stripe account, scroll down and fill out the form with your details. Click Authorize access to this account at the bottom of the page. Note: Remember to verify you email account, by clicking the link in the email you receive from Stripe. Note: If you are asked for a Tax ID or EIN, and don't have either of them, you can use your Social Security Number instead. When your account is ready and connected to Stripe, the word "CONNECTED" will be displayed in the settings for your online shop. 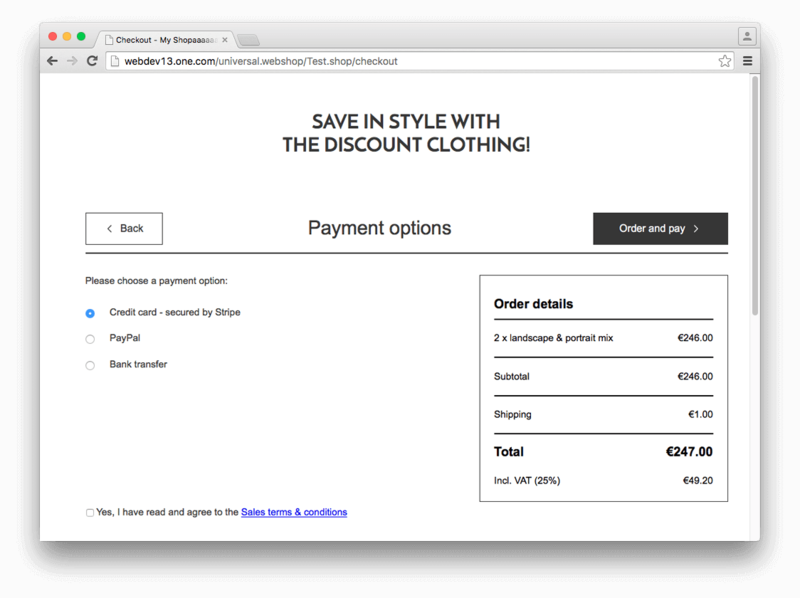 Your online shop will now have Stripe as one of the payment methods, available to your customers on checkout. 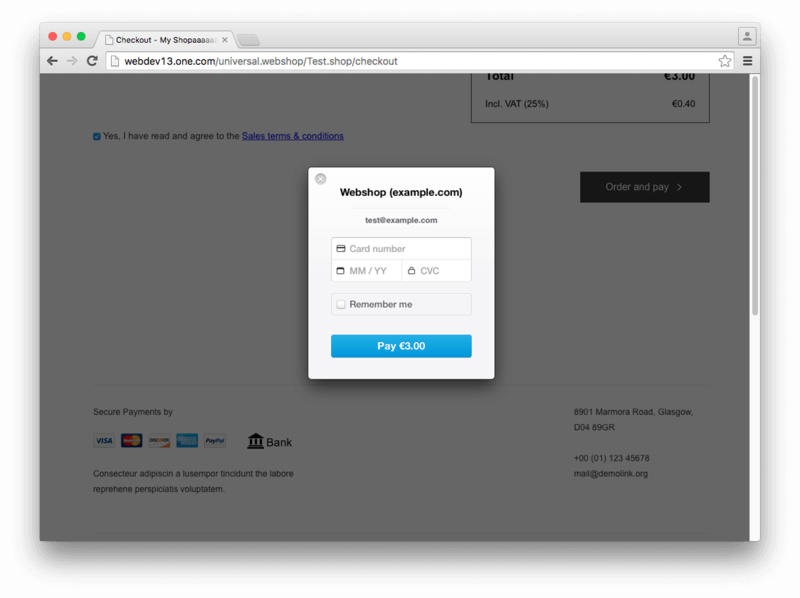 When your customers click Order and pay the window for Stripe will be shown.